Travelers should be physically fit and mentally prepared for multiple hours of hiking each day. Some days may have more challenging physical activity such as ascents/descents on steep mountainous terrain. 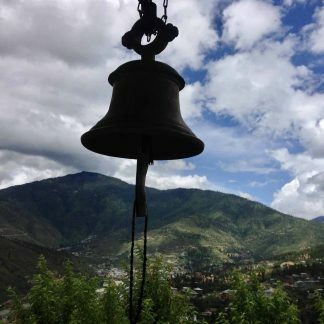 Superior Journeys are led by an experienced Himalayan Hermitage facilitator accompanied by our top local expedition team who draw from an in-depth wealth of knowledge and local experience which allows for a deeper and more immersive accessibility to sacred sites and Himalayan culture. Itineraries are carefully designed to visit the most beautiful locations and sacred sites with a good balance of free time. Accommodation has been carefully selected with comfort appreciation for beauty in mind – only high-end or the best available. Ground transportation, healthy meals, and activities are included in the journey price. 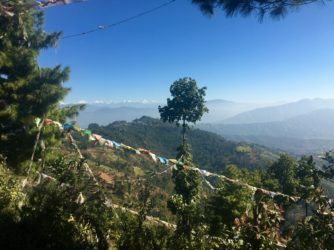 With this Meditation Journey in Nepal & Bhutan we start our first 6 days in the Kathmandu Valley of Nepal, where we explore the sacred areas of Swayambhu, Pharping, Namo Buddha and Boudha Stupa – listed to be some of the most sacred Buddhist pilgrimage spots in the world. 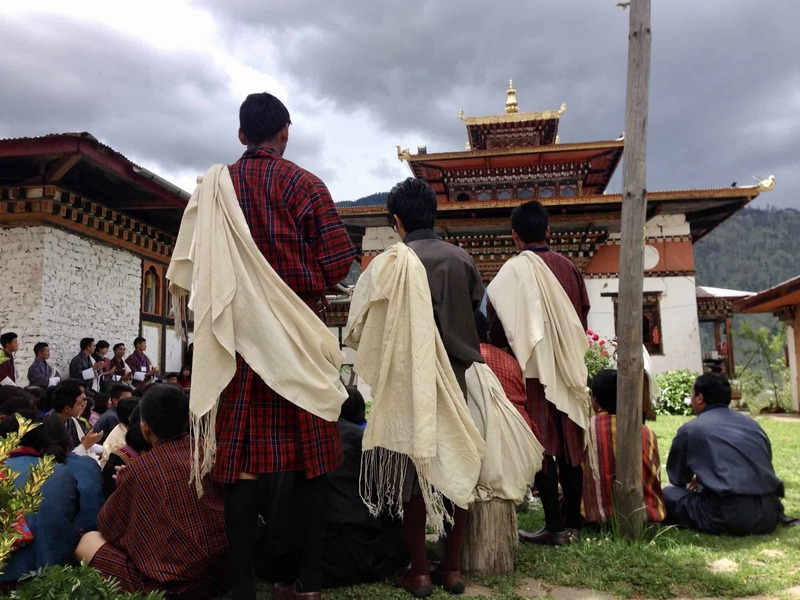 After becoming acquainted with the Nepali Buddhist cultures of the Himalayan region, we travel to the other sacred Buddhist land of Bhutan. 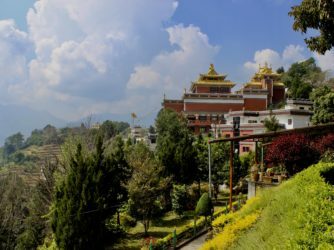 Here we spend 8 days, embarking on a journey where we get to both observe and learn about the spiritual heritage of Bhutan, as much as taking time to practice ourselves and take in the many blessings of this place. Morning meditation session followed by breakfast. We have our introduction session to Buddhist philosophy before lunch. After lunch and a rest, we hike through rice fields to visit the Asura cave and the self-arisen Tara in Pharping. Dinner and Meditation session. 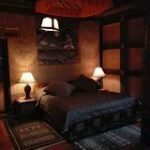 We spend the night at the Tibetan Buddhist monastery guesthouse. Morning meditation and breakfast. After breakfast meditation and talk about Buddhist philosophy. Afternoon pilgrimage to Swayambhu Stupa. Meditation session after dinner. After breakfast we continue our journey to the lovely area of Namo Buddha, where we spend the next two nights. We will have lunch in the beautiful surroundings of the resort we will stay in, followed by a free afternoon. After dinner we will have a meditation session. Morning meditation session and breakfast at our resort in Namo Buddha. 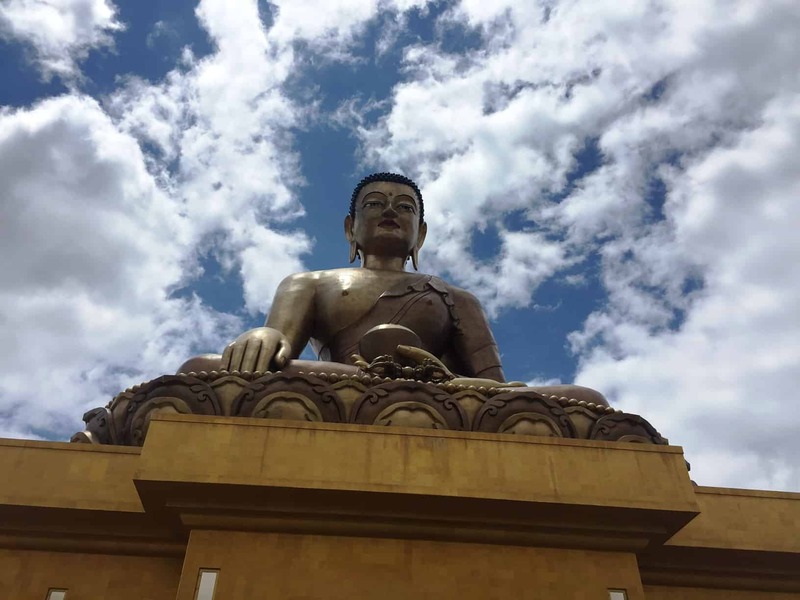 After lunch we hike to pilgrimage in Namo Buddha where it is said that the previous incarnation of Shakyamuni Buddha sacrificed his body to feed a starving Tigress and her cubs. 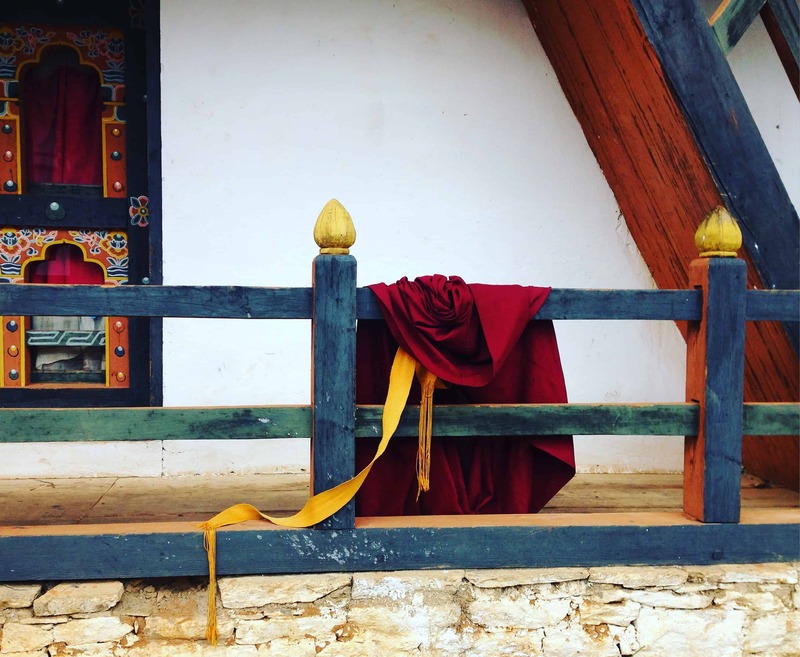 We visit the stunning monastery of Thrangu Rinpoche and the sacred Namo Buddha Stupa. We overnight again at the beautiful resort in Namo Buddha. After breakfast we depart for the international airport and fly to Paro, Bhutan. 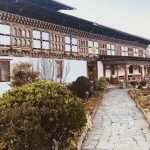 We visit Dhuntse and Kyichu Lakhang – the house of Dilgo Khyentse Rinpoche, one of the greatest Tibetan Buddhist masters of this century. We spend the night at a lovely resort. After breakfast, we drive to up the hill behind the dzong to begin our walk to Jala Dzong. 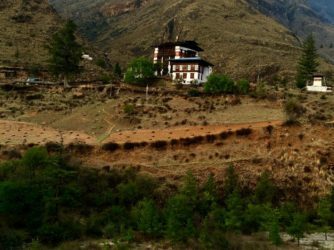 We have lunch at camp and then visit the Dzong and enjoy the day at this location. 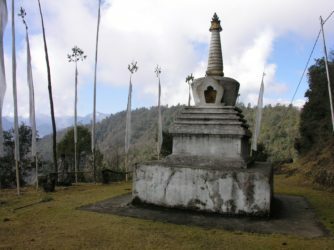 This is also a famous location for encountering the national flower of Bhutan – the blue poppy – but only during summer season. 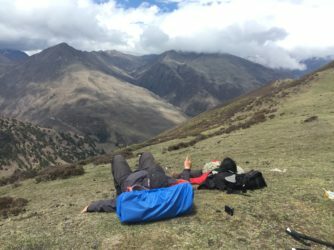 We spend the night camping at Jala Dzong. After breakfast, continue our walk to Lataykha monastery, which as retreat location for Buddhist practitioners of the region. 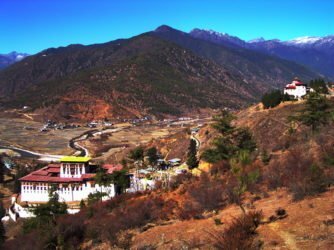 From this location, we can enjoy Great views of Hemphug Monastery, Bemri and Phurdo Gompa. After breakfast, we walk to Bemri a sacred site which is known as the mountain of 100,000 dakinis who took flight from here. 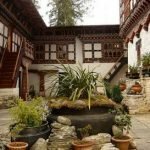 We continue hiking for visits at Dhunkalha or Phurdo Gompa and return to hotel by vehicle. We spend the night at a beautifully located resort in Paro. 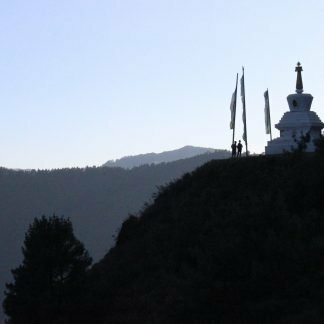 We rise early for the drive to Chele la and visit Kilay gompa (nunnery) along the way. We have a picnic lunch at the top of the pass where we will get great Himalaya views if the weather is clear. After this continue down the back side of the pass to Haa valley. We spend the night at a beautiful farmhouse. We visit Shekhar Drak (dedicated to Avalokitsvara) and continue on driving the back road of Haa. We will stop for a picnic lunch at the scenic Dobsey Dzong. We continue onto Thimphu and check into the hotel. In the afternoon – free time for exploring the city. 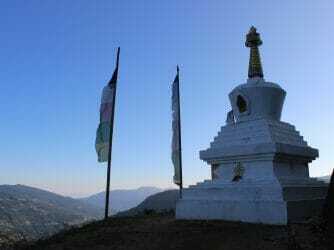 Prior to dinner, we pay a visit to the Dordenma Buddha which sits above the city and overlooks the entire Thimphu valley. 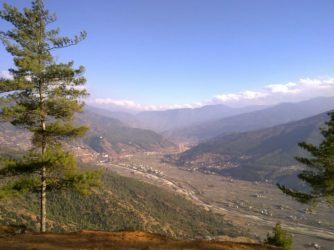 We spend the morning (half day) in Thimphu – select from visits to: Zorig Chusu the School of 13 Traditional Arts, Textile Museum, the Traditional Medical Center or Memorial Chorten. 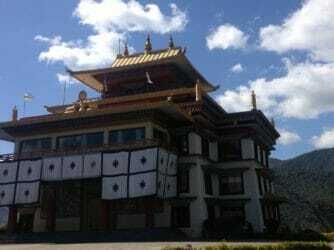 Lunch in Thimphu and then return to Paro with a stop at Tamchoe monastery the famous location of Iron bridge builder Thang Thong Gyalpo and see his chain bridge and other relics located here. We spend the night back at a beautiful resort in Paro. 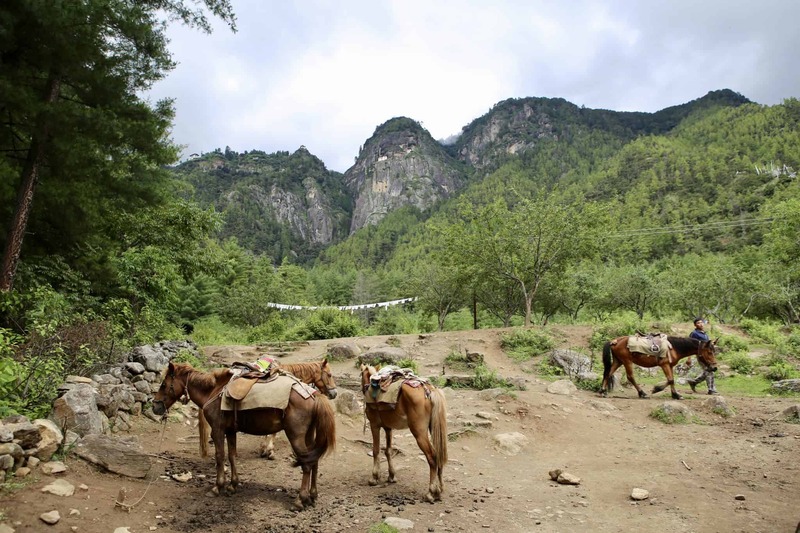 We begin our early morning pilgrimage walk to Taktsang Monastery or the famous Tiger’s Nest. 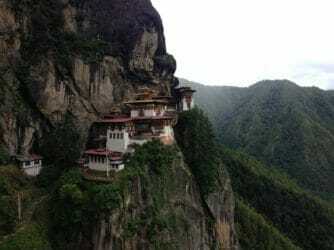 On the way back down, we have lunch at the Taktsang “cafeteria”. Return to the hotel where an optional Bhutanese hot stone bath can be organized (at an additional cost) and a farewell dinner for our last night in Bhutan. 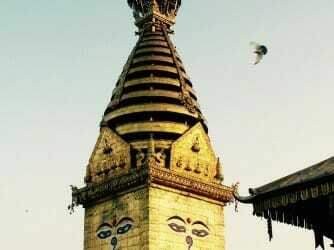 We return to Kathmandu, Nepal by morning flight and spend our last night in Boudha. Free day and farewell dinner at Kathmandu’s famous pizza joint, Fire and Ice. 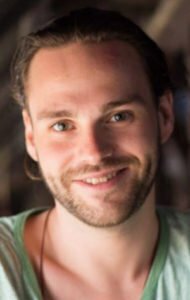 The daily schedule in this 14-day itinerary comprises of meditating together every morning and evening – this can be for 30-60 minutes (several sessions of sitting and walking meditation) depending on what the group wants and where we are in our itinerary. Buddhist philosophy sessions are roughly 1 hour/day combining a short presentation with group discussion. 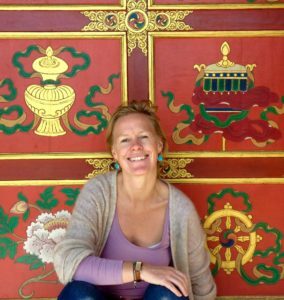 Throughout the 14 days we slowly walk through all 3 yanas (vehicles) of the Tibetan Buddhist path. 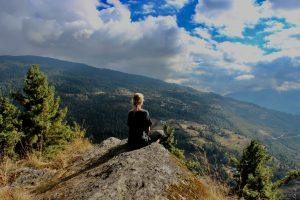 We explore how & why shamatha/mindfulness (one-pointed ‘calm abiding’ meditation) + vipassana (insight) are used as tools from the beginning through to the end of the path. The foundational path of the Shravakayana is comprised of: ‘The 4 Turnings of the Mind’, ‘Refuge’, ‘The 3 Marks of Existence’, and ‘The Four Noble Truths’. There is an emphasis on exploring the middle yana – the Mahayana (the ‘great vehicle’ of the Bodhisattvas) which entails: ‘Bodhicitta’, ‘The 6 Paramitas (perfect actions)’, ‘Shunyata (emptiness)’, ‘Relative and Ultimate Truth’, and ‘Lojong (mind-training)’. 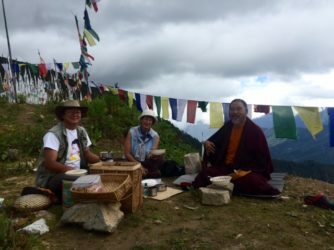 We contemplate Lojong slogans as brought forth in an accessible way by great Tibetan/Western hybrid teachers Chogyam Trungpa Rinpoche and Pema Chodron. We touch upon the final yana of the Vajrayana (Tantric Buddhism) by exploring its many expressions and intricate symbolism. At face value Tibetan Buddhism may look esoteric, but with investigation we may see first-hand how it is simply a system for training one’s mind by utilizing various methods which combine mindfulness, compassion, and wisdom cultivation practices.